Getting ready to sell? You can easily arouse the prospect's desire for your home by making it attractive. Here are some friendly Do's & Don'ts in home staging that will assist in the visibility of your home's best amenities in preparation for showing a home for sale. An inviting exterior insures inspection of the interior. Keep lawn trimmed, flower beds cultivated, and yard debris to a minimum. Faded walls and worn woodwork reduce the desire. Don't tell buyers how it will look- show them by redecorating first. A quicker sale with a higher offer will be the result. 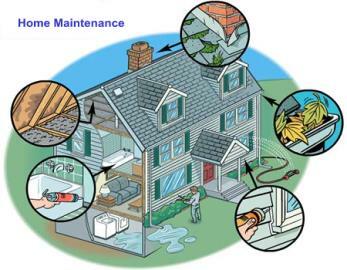 Dripping water discolors and calls attention to faulty plumbing. Remove all unnecessary articles that have accumulated. Display the full range of your storage and utility spaces. The prospect will do just that unless all passageways are cleared of objects. Avoid cluttered appearances and possible injuries. Clothes properly hung, shoes, hats, and other articles neatly placed, will help your closets to appear spacious and adequate for proper use. 9. Dear to Her Heart is the Kitchen. Colorful curtains in harmony with the floor and counter tops, add appeal for the Future Lady of the House. Bright and clean bathrooms sell homes. Illumination is a Welcome Sign. For an after dark inspection, turn on the lights, throughout the house. A buyer will feel a "glowing warmth" otherwise impossible to attain. While music can be subtle we don't recommend having it on during the showing of your home. Allow the agent and the buyer to talk, free of disturbances. Does not apply in this situation. Keep pets out of the way- preferably out of the house. Be courteous but don't force conversation with the prospect. They are here to inspect your home let them initiate questions. The agent knows what the Buyer is specifically looking for and can better recognize the features of your home, which will appeal to them, when left alone. DO NOT DISCUSS price, terms, possession or other factors with the buyer or their agent. Refer them to us; we will handle all negotiations with professionalism and in your best interest. We ask that you DO NOT show your home to prospective customers. *Appointments Should be Made Through our Office for Professional and Security Reasons* Your cooperation is appreciated and leads to a more prompt conclusion.